This lecture introduce on Nouns. Nouns are naming words. It is a word (other than a pronoun) used to identify any of a class of people, places, or things common noun, or to name a particular one of these proper noun. They name people, places and objects. They can also name ideas, emotions, qualities and activities. 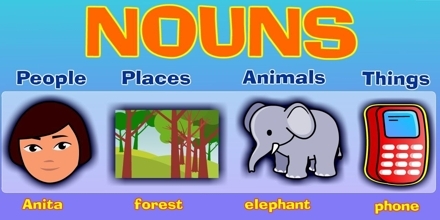 Here are some examples of nouns: Peter, Elizabeth, driver, sister, friend. Bristol, Severn, Brazil, pen, dog, money. Love, beauty, industry, nature, greed, pain. etc.